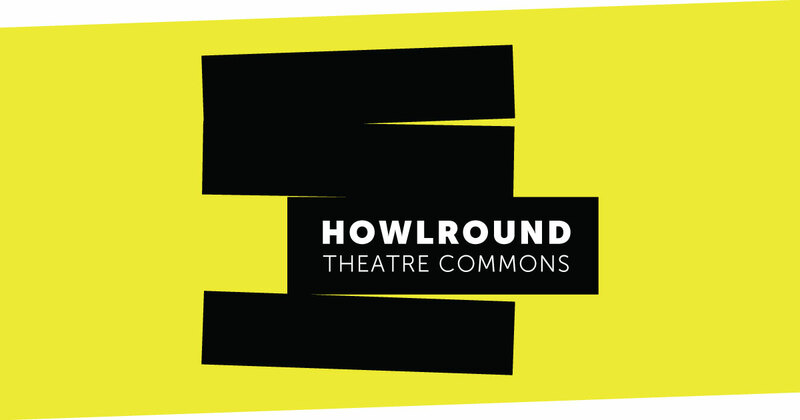 Today, we are proud to welcome you to a brand new HowlRound website! We’ve spent the last year and a half working on creating this new interface in collaboration with the talented development team at Giant Rabbit. The need for this upgrade was clearly articulated in feedback from key stakeholders and HowlRound.com users as part of our strategic planning process in 2016. We asked about your experience of HowlRound, and you told us that while you enjoyed engaging with our content, at times you found the sheer volume overwhelming and hard to navigate. What’s more, you weren’t sure how to find things, and said the archive was perplexing. We heard you, and we set to work. HowlRound exists for theatremakers to share their ideas and ask the critical questions we need to explore as a field. Our content is entirely peer-produced: it comes from you! At the outset, our goals for this new site were to present a new look and feel that matches HowlRound at seven-plus years of existence; more clearly communicate our mission, vision, values, and commons-based approach; make all of our content (new and old) easier to find and share; allow for greater user participation and engagement; improve accessibility by meeting the Web Content Accessibility Guidelines 2.1 at the AA level; and integrate all of our activity more seamlessly under one platform. We hope that we have achieved these priorities in this new iteration of HowlRound. You can now keyword search content using the search field or browse by topics to see all content—written, video, and audio—related to that subject. You may also see content from the World Theatre Map that relates to the subject at hand. On the menu sidebar, you can see some topics that are top of mind. You can also find content by type (essays, videos, podcasts, etc.) using this menu. Any event live on HowlRound TV will appear on the homepage while it is being livestreamed. After, its video archive will be watchable on its event page. You can check out all upcoming events at any time. We now offer HowlRound users the opportunity to make their own public profiles. Anyone can make an account, which will work on both HowlRound and the World Theatre Map. You can update this account whenever you want and as often as you want. You can also manage HowlRound email preferences from this account. If you want to contribute a content idea or comment on something we publish, you will be asked to create an account. Folks who have already written for us and have author profiles will get access to those existing accounts. Your account will contain basic information about you—a photo, a bio, and any additional contact information you wish to share. Your public profile will display all of your contributions to HowlRound to date. We hope that this new site makes participating easier, and more fruitful for all. Once you create an account, you can bookmark articles or videos to read or watch later. These bookmarks will be private. Using the same bookmarking feature, you can also create lists of content to share publicly—you determine the title and a description for the list, then add the content you want from your profile page. These lists become searchable on HowlRound, they can be shared on social media, and we will be featuring four of them at a time on the homepage as “Community Picks Lists.” These lists have lots of benefits; for example, they may help you organize HowlRound pieces you teach in a class. You can let us know you have a list that you want to be featured on the homepage, too! You can now subscribe to any article’s comment thread and follow the conversation in real time. You can also subscribe only to replies to your specific comment so you stay in the loop. We have partnered with the fabulous folks at the Institute for Human Centered Design to ensure that the new site conforms to the Web Content Accessibility Guidelines 2.1 at the AA standard. You can head here to find out more about what this means and the ways in which we are making our content accessible. HowlRound exists for theatremakers to share their ideas and ask the critical questions we need to explore as a field. Our content is entirely peer-produced: it comes from you! The community who chooses to participate in HowlRound makes HowlRound what it is—you drive the conversation. We hope that this new site makes participating easier, and more fruitful for all. For now, please take some time to explore and get to know our new site, and tell us what you think. It’s new for us, too, and we’re still learning. Please comment here or contact us at any time to share your thoughts. Enjoy!